My kids are crazy for slime. And they’re clearly not alone! 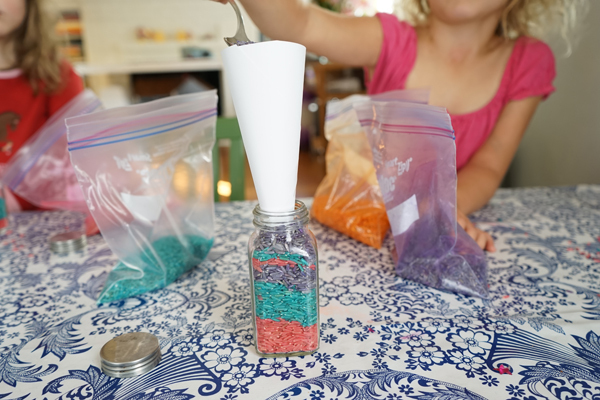 A few weeks ago we made a gorgeous batch of 3-ingredient glitter slime, and today we’re sharing how to make fluffy slime. 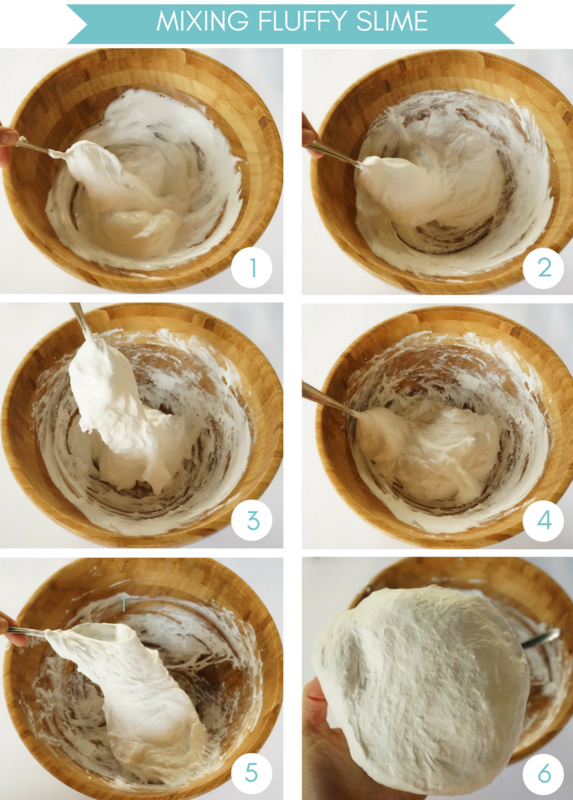 If you’re on the slime train, there’s a good chance you’ve heard of fluffy slime, and it’s so easy to make. 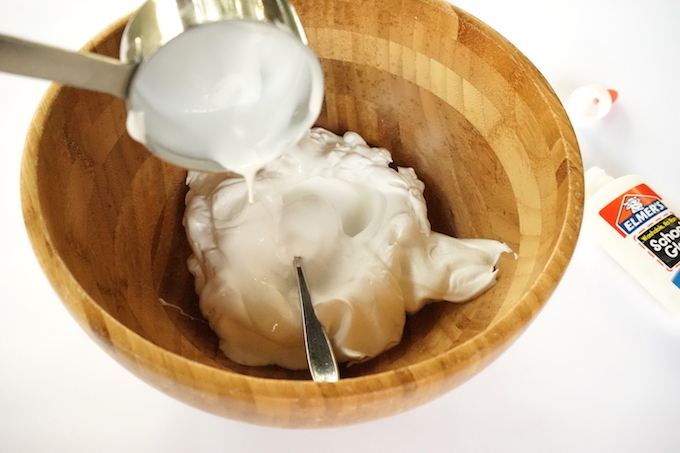 The difference between slime and fluffy slime is that fluffy slime feels like marshmallows. It’s bouncy, puffy, and, well, fluffy! 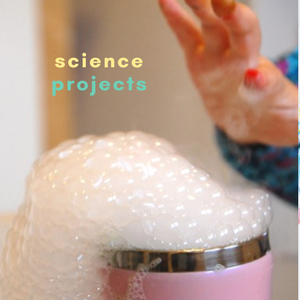 We’ve been making slime for years (take a look in the book, TinkerLab: A Hands-on Guide for Little Inventors or click here our original recipe! 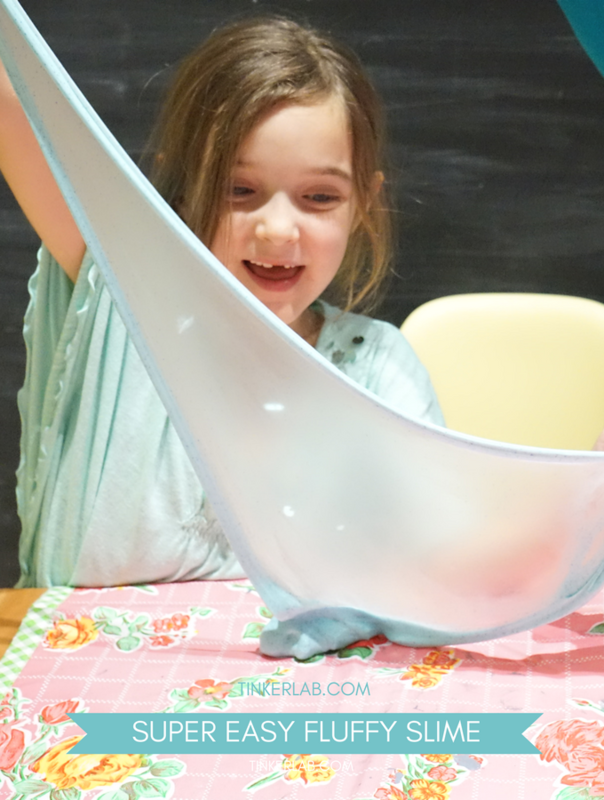 ), and even at ages 7 and 9 they are still nuts about this stretchy magical material. 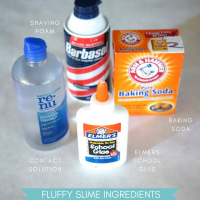 What is it about slime? Well, it’s a sensory material at invites children (and adults) to tap into the sense of touch in a pretty amazing way. 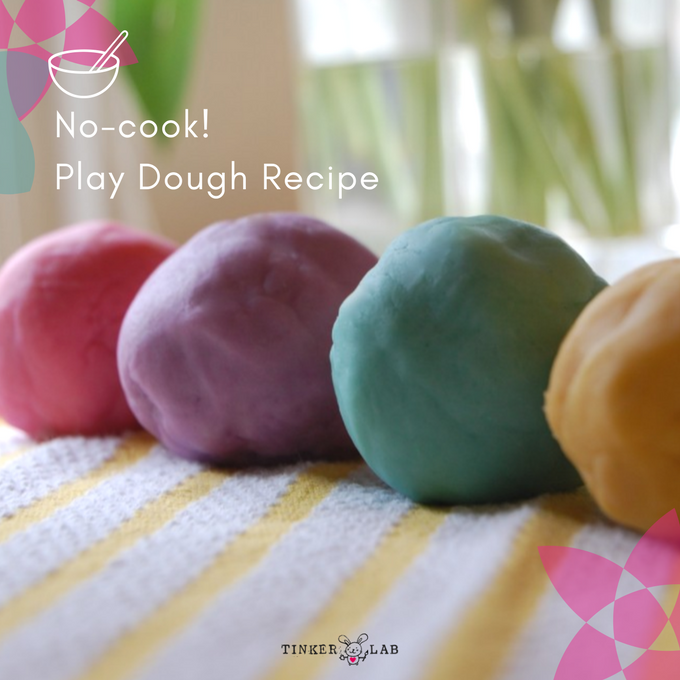 The texture is playful and stretchy and encourages children to invent, build, sculpt, play, and even relax. My two played with slime for an hour the other day and they didn’t want to stop. 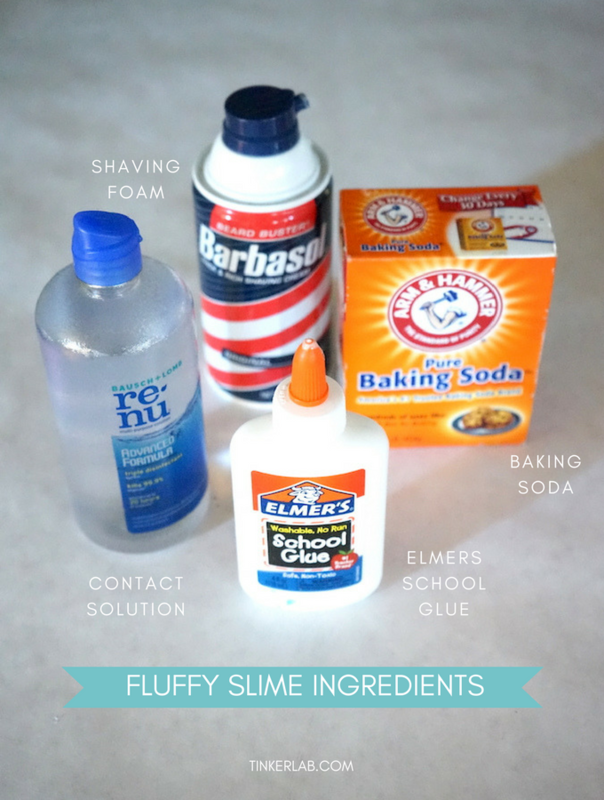 Elmer’s School Glue – 1/2 cup (120 ml) or a 4 ounce bottle. We love this glue. 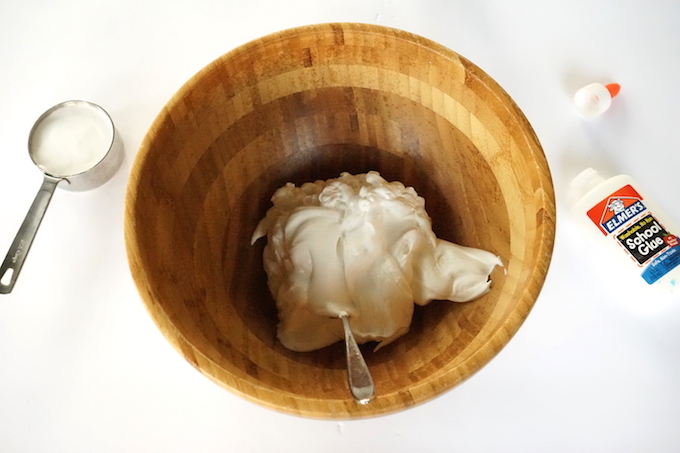 If your kids love making slime, splurge for the gallon! 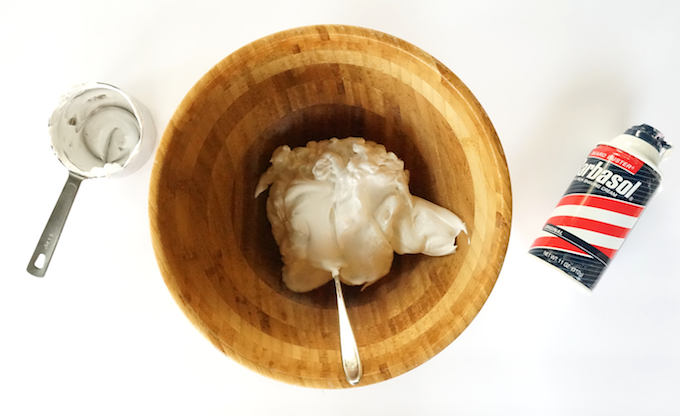 Step 1: Add 3 cups (750 ml) shaving cream to a bowl. Don’t worry about exact amounts. This recipe is forgiving. 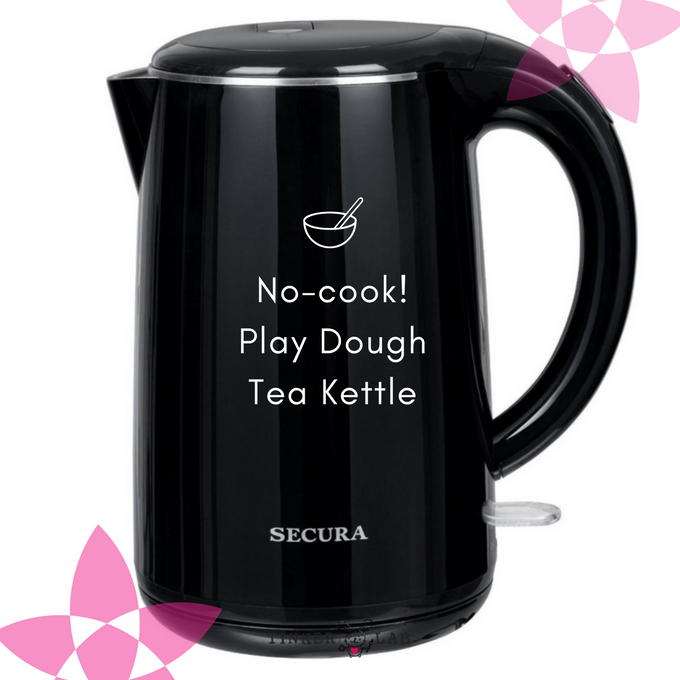 4 cups (1000 ml) would be fine, too. 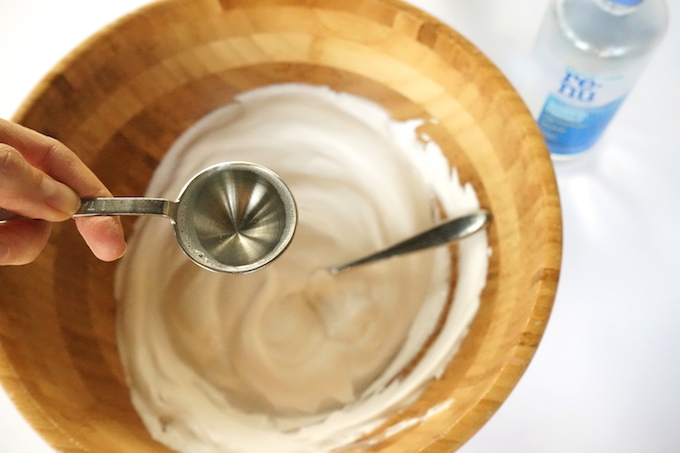 Step 3: Add 1 teaspoon (5 ml) baking soda to the bowl. 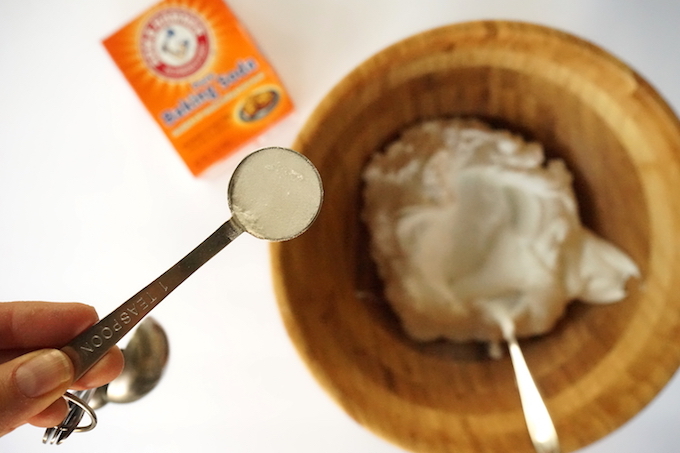 Step 5: Add 1 tablespoon (15 ml) contact solution to the bowl. Mix it all together! See the next set of photos to see how it comes together in about a minute! 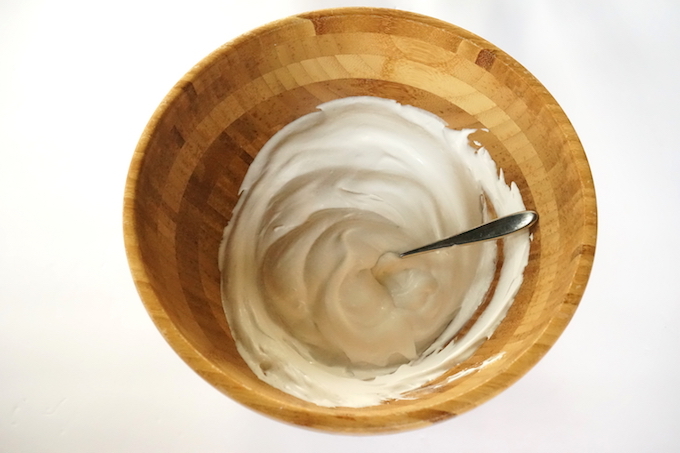 Once the slime comes together, remove it from the bowl to knead and stretch it with your hands for a few minutes. It will be sticky at first, but it becomes non-sticky and pliable pretty quickly. 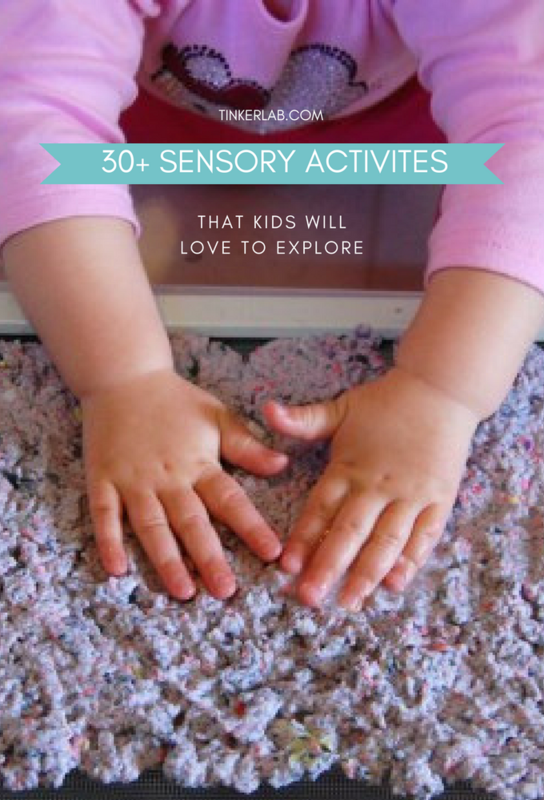 For more sensory activities, see our list of 30+ sensory activities here. 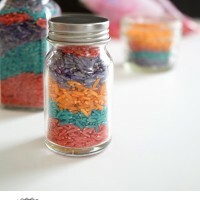 Yesterday I shared a recipe for colored rice, and today I’m sharing a fun and simple creative invitation to make a layered rainbow colored rice jar. 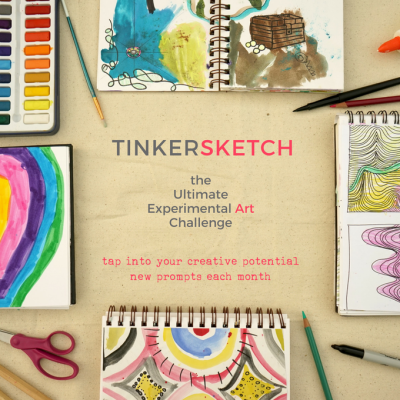 Like all things on TinkerLab, this is just a jumping off point and should act more as inspiration than doctrine. 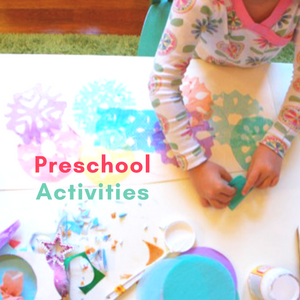 Offer your child the materials and then see what he or she comes up with. You may be surprised by the results! Funnel – I made a paper funnel by twirling a half-circle of paper into a funnel shape and then taping the edge shut. I set up all of the materials on the table just as you see in the photo above. 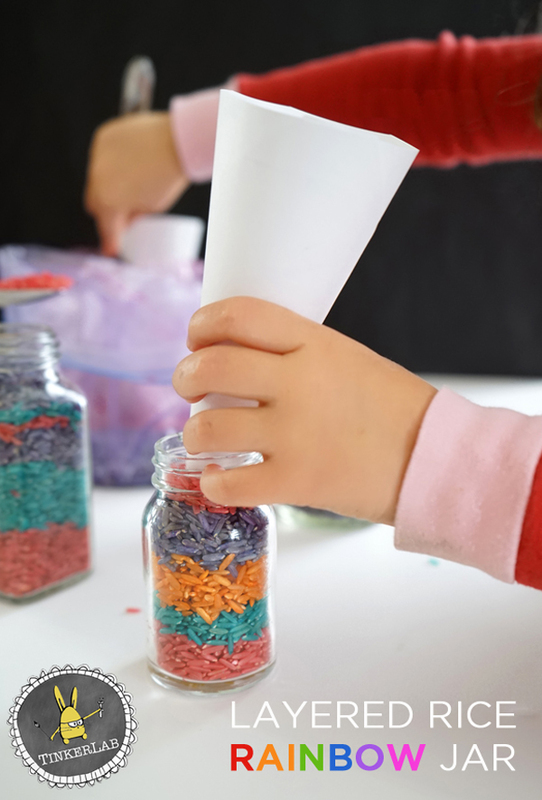 My kids were VERY eager to jump in and get started, and began filling the jars before I had a chance to grab an empty-jar version of the invitation. This set-up is super inviting, and MANY jars were filled that day. My kids, ages 3 and 5, figured out without any verbal cues that this was an invitation to fill their jars. 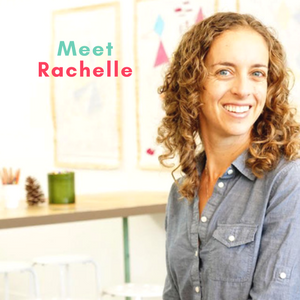 They came up with their own color combinations and enjoyed the process so much that they foraged the kitchen for mason jars and anything else that could hold their colored rice. 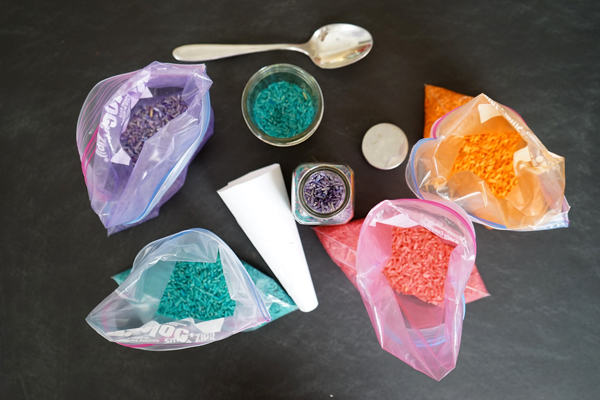 Vary the material: Try this with Colored Salt or Colored Sand, instead of rice. 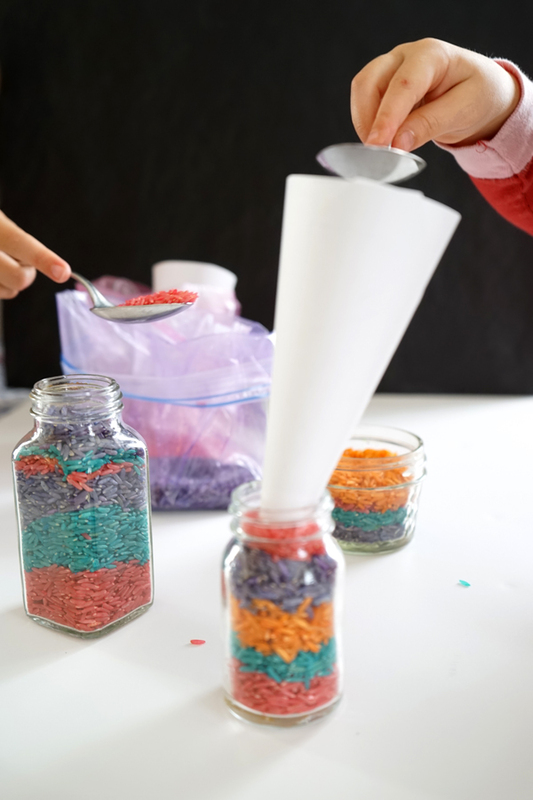 Make a Sensory Tub: Pour all of your rainbow-colored rice into a big sensory tub and invite your child to play with it. 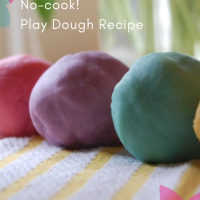 Add funnels, bowls, and scoopers for extra entertainment. Add small character toys and pretend they live in the land of rainbows. The wheat berries in this sensory tub could easily be replaced with rice or colored sand. Use the rice like glitter. Offer your child a sheet of paper, white craft glue, and a bowl of rice to sprinkle into the glue.